There are so many fun ways to practice letter recognition with your preschooler and today we are sharing a fun and simple festive way to practice letters this Christmas season. We made an Alphabet Christmas Tree matching activity last year focusing on letters A-Z, and this year we switched it up a little bit and did a letter sorting activity with just a few letters at a time. 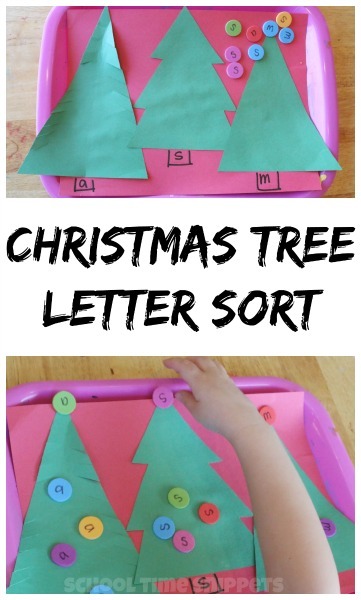 This Christmas theme letter sorting activity is great for toddlers and/or preschoolers! Spruce up you alphabet learning activities this holiday season with these Preschool Christmas Theme Letter Sorting Trees! Cut three Christmas trees out of green construction paper. Glue them onto a piece of paper. Draw out a trunk for each tree. 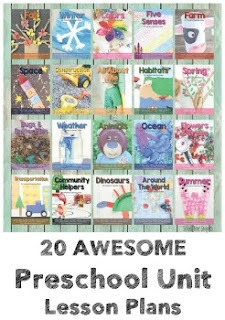 Write the concept you want your child to work on in each trunk. On each foam circle, write one of the three concepts you want your child to sort. We focused on letters, so I wrote the the letter s, m, and a on one of the three tree trunks. I then wrote the following letters on the foam circles. I presented the activity to Little Sis and had her sort through the foam circles, aka "ornaments" and had her decorate the each tree with the corresponding letter on the tree trunk. We love simple educational activities around here! And this Christmas Tree Letter Sort is just that! 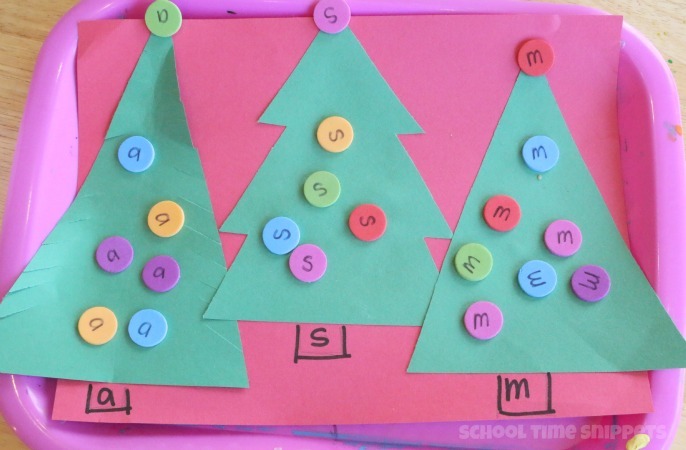 Another alternative would be to do this Christmas Tree Letter Sort with sight words!